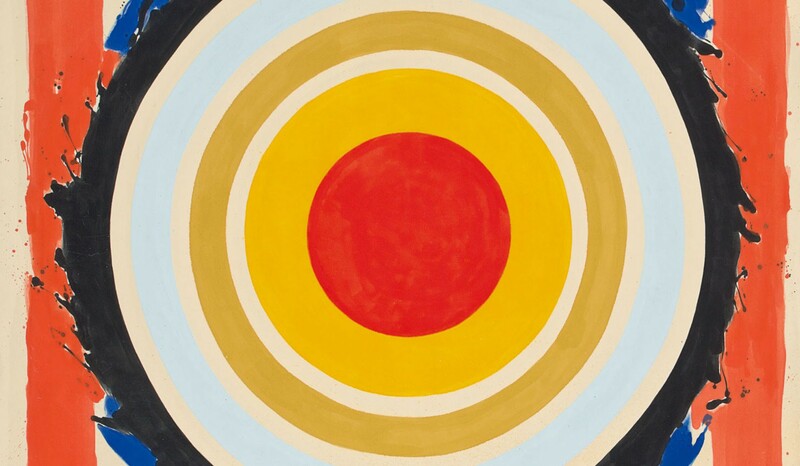 Kenneth Noland had a career that spanned six decades, powerfully and lyrically using color to transform the basic com- positional devices of the circle, the chevron, and the stripe, and shaping painting in the second half of the twentieth century. Color is the primary subject of Noland’s work; “I wanted color to be the origin of painting . . . I wanted to make color the generating force,” the artist stated in 1971 (Peter Marzio, Kenneth Noland: The Nature of Color, exhibition. catalogue, The Museum of Fine Arts, Houston, Houston, Texas, 2004). Born in Asheville, North Carolina in 1924, Noland served as a glider pilot and cryptographer during World War II. After the war ended, he took advantage of the G.I. Bill to study art at the experimental Black Mountain College. It was there that he met artist and professor Ilya Bolotowsky, who would serve as an ideal mentor for the budding artist. Ever encouraging, Bolotowsky introduced Noland to the work of such first generation painters as Piet Mondrian and Vasily Kandinsky. Under Bolotwosky’s tutelage, Noland began to take an experimental and improvisatory approach to composition and color theory. In 1948, the G.I. Bill allowed Noland to continue his studies in Paris, where he studied under Ossip Zadkine and he exhibited his art for the first time. In Paris, Noland became fascinated by the work of Henri Matisse. “I realized that I had to really learn how to paint . . . to learn how to use materials,” said the artist of his realizations while abroad. Upon his return to the United States in 1949, Noland widened his sphere of influence to include artists Paul Klee, Helen Frankenthaler, David Smith and Morris Louis. Ultimately, influential critic Clement Greenberg championed Noland, allowing him to begin the investigations on color and technique that would result in his early target series. By the mid-1950s, many of Noland’s compositions had begun to coalesce towards the center of the canvas. 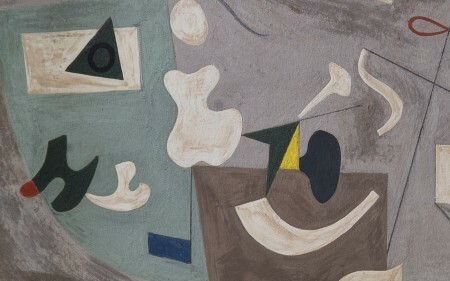 His 1955 work Planet, for example, predicted the circle motif that would emerge in his work in the late 1950s. Noland insisted, “Making the Circles really had to do with shaping. I used a square very consciously. Shaping pictures was a slightly unconscious thing” (Kenneth Noland, quoted in Karen Wilkin, Kenneth Noland, New York, 1990, p. 23). For Noland, deciding the limits of his work was a separate step. He believed working outside of a preexisting shape was integral to abstractness. Often the size of his targets was dictated by the height and reach of the artist himself. Recalling Leonardo da Vinci’s famous Vitruvian Man, the size of these paintings were determined by human scale, and literally made in man’s own image. Working his way from the center of the canvas outward within a rigid compositional format, Noland’s color schemes developed in a similar progression of repeated concentric images, allowing him to concentrate on color as his primary concern. He rigorously experimented with varying color palettes. “Noland’s search for the ideal Platonic form has crystallized into an art in which color and form are held in perfect equilibrium,” Diane Waldman explained. “The spare geometry of his form heightens the emotional impact of his color. The rational and the felt, distilled form and sensuous color inter- mesh to create a magic presence. His color is space. Color is all,” (Diane Waldman, Kenneth Noland: A Retrospective, exhibition. catalogue, Solomon R. Guggenheim, New York, 1977, p. 36). 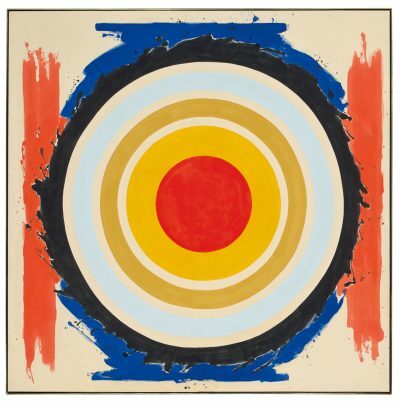 With towering scale and a bold palette, Circle is an exquisite example of Kenneth Noland’s early work and his breakthrough series of targets. 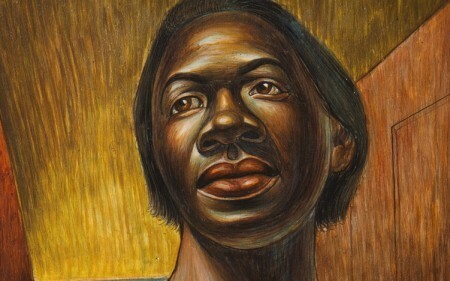 Noland’s target paintings have been widely regarded as quintessential specimens of Color Field Painting. Today, Noland’s work can be viewed publicly at the Museum of Modern Art, the Metropolitan Museum of Art, the Whitney Museum of American Art, the Art Institute of Chicago, the Museum of Contemporary Art, Los Angeles, among many others.